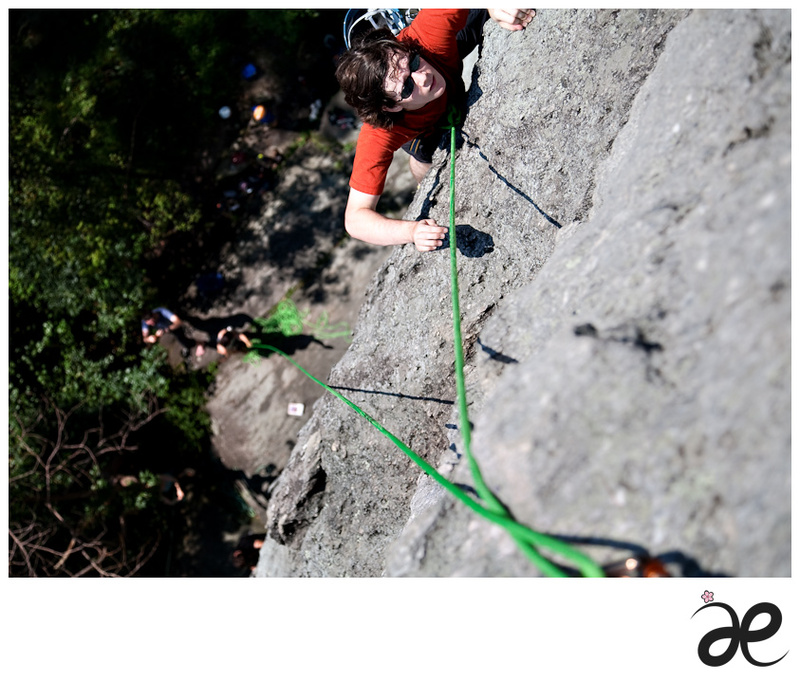 But photographing someone rock climbing is a whole lot of different challenge than rock climbing myself. I was literally hanging off of the rock without tying myself to anything! I had to make sure not to fall while also making sure not to drop the heavy camera equipments to Matt’s face. This was shot by stretching my arm all the way to get a better angle. Obviously I had no idea what I was shooting and where I was focusing since I couldn’t see the viewfinder. I admit that this is not the best rock climbing photo on the web, but I’m proud of myself for taking the risk for something new, something different.